Spring has finally arrived here on Chenoweth Farm (even though it’s supposed to get down below freezing again toward the end of the week). Ted’s grandmother’s daffodils are putting on their annual show, and already getting into the late season blooms. The all-yellow, traditional daffodils are early in the season. 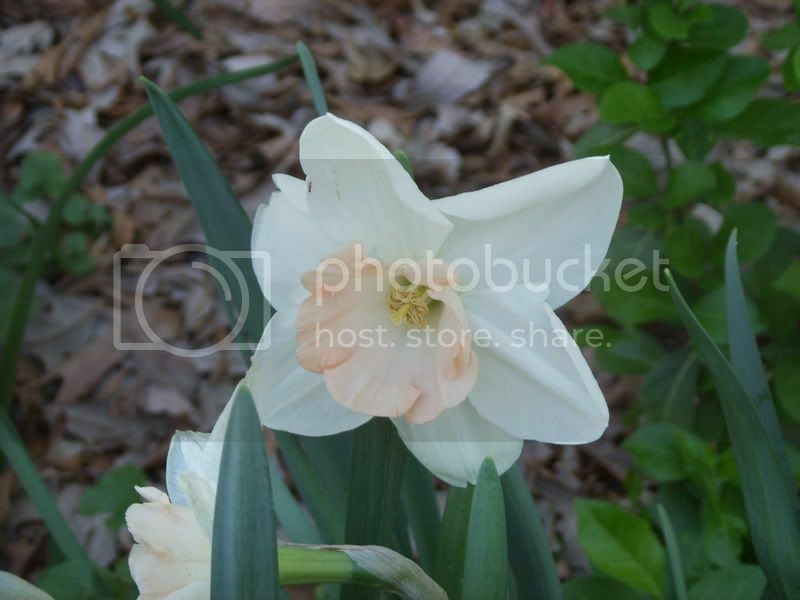 As the daffodil season progresses, the white ones begin to bloom, along with those with white petals and contrasting color perianths — orange, salmon, and pink. Our very latest, which haven’t bloomed yet, are tiny white ones, with 3 – 4 blooms coming off each stem, and a fragrance that will almost knock your socks off! 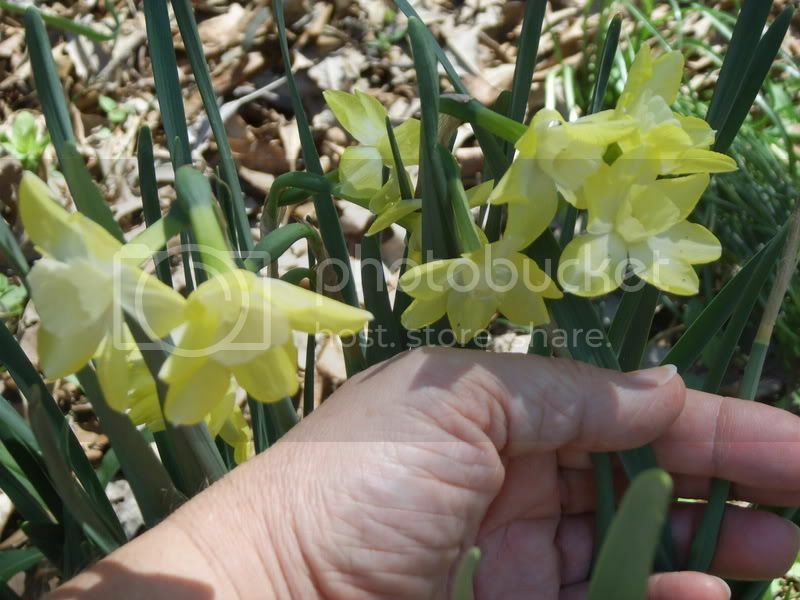 I have been told that Bommy had 250 varieties of daffodils in her garden in its heyday, all labeled! It was opened to the local garden clubs, and folks would come out and place orders for their favorites. Bommy did field trials for one, or some of the Dutch bulb growers, to record the performance of their varieties in this location. When we moved here in 1988, you could still see the ones planted in rows that she was testing, as well as her bulb shed where she dried bulbs at the end of the year. The shed has since fallen down, but the flowers still bloom in their rows. Those from her garden have naturalized. On a good year, there are thousands of blooms around the property! I will miss the show when we move to our own house. I suppose I could dig a selection to take with me, but it will be so much easier to order a naturalizing variety from a catalog and plant the bulbs. I’ll probably only pick a few varieties from here that are my favorite. Another earmark of spring around here is our lawn, carpeted with spring beauties and violets. To a city dweller, I’m sure it must look wild and unkempt, but I am always loath to have the lawn mowed for the first time. 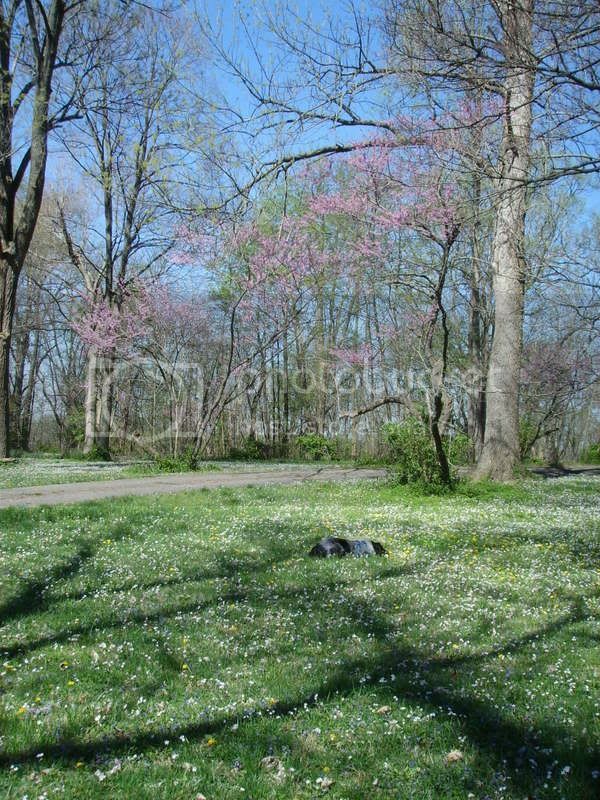 The “white” lawn is such a great foil for the many redbud trees in prime bud around our yard. I’m attaching some pictures.